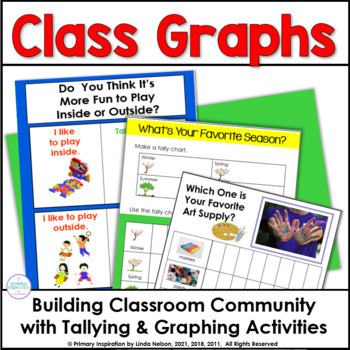 This collection of seven graphs and two tally charts will help your students get to know one another while practicing collecting and recording data about themselves and their friends. 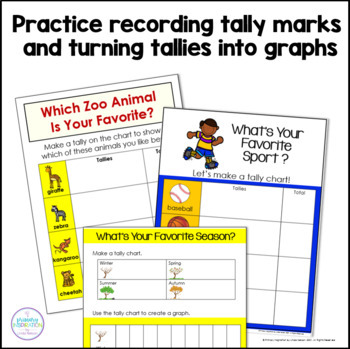 If you're looking for more ways to integrate tallying, graphing, and data analysis into your teaching, you'll love this set of 44 tallying, graphing, and writing activities about about plants, animals, landforms, bodies of water, magnets, rocks, weather and seasons, and space. Click here to see it! 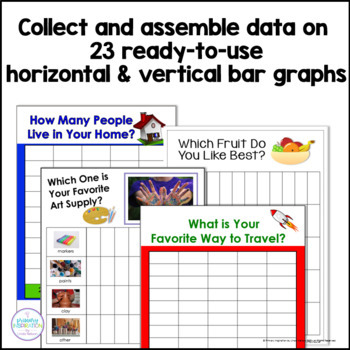 Spend a few minutes of your math time each day with these activities and you'll have the makings of a great bulletin board display! When the display is taken down, assemble the pages into a book for your classroom library, using the included cover. Click here to see a set of ten autumn graphs and tallies. 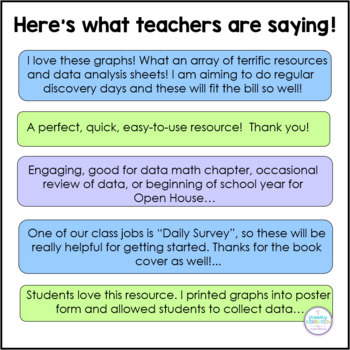 We all know that spiral review is critical to our students' success! Click here to see a set of 240 spiral review cards, great for math review throughout first and second grade!